This snow is driving me crazy! Being cooped up in the house, you'd think I'd be productive and, I don't know, read one of the 50 books I have sitting next to my bed or finish my SCBWI WIP Grant application or get some homework done for my web design class. 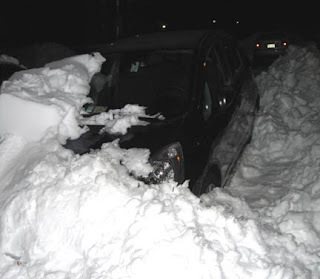 The least I could do is barrow a shovel and dig my car out of the two feet of snow it is buried under. I made some progress, but then the bucket I was using shattered (yes, shattered) and I was left with no way to clear the snow. A walk to the store also proved futile as they were out of shovels. But it's like in school when they tell you you have to read a book and it looks like a good book by an author you've liked in the past and you actually really wanted to read that book. But just because you now HAVE to read it, you have suddenly lost all desire to read it. That has been my life for the past week. 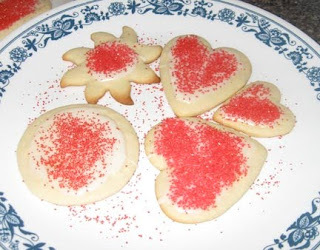 baking Valentine's Day cookies to give to friends once the snow melts. 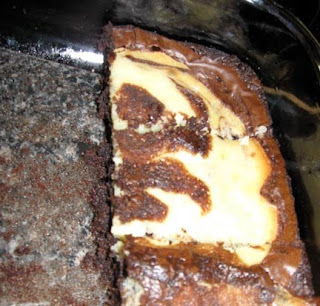 making cream cheese brownies for a movie night that gets cancelled because of the snow only to be forced to eat all the brownies with my roommate because it's really not the brownies' fault it snowed. 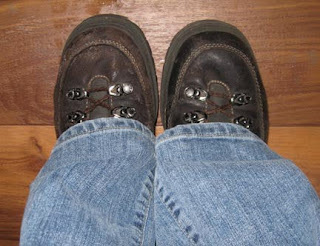 starting a new fashion trend of wearing boots from my good ol' college days in Idaho that I swore I would never wear again and pairing them with the same pair of jeans from yesterday because I really don't want to bother getting another pair of jeans all slushy. watching episode after episode with the popular Australian television drama McLeod's Daughters on Netflix and seeing how many budding stars I can spot that now sport American accents on shows like Legend of the Seeker and Fringe . Any ideas how I can waste time tomorrow and probably Wednesday as well? We're supposed to get another six inches, so Washington might be closed down for a few more days. At least I have internet access and can check my work email at home. So I have been able to get SOME work done. Oh my goodness chica! Your post made me laugh so hard because I can totally see you doing all those things, particularly losing interest in the book. How funny! It was great to chat with you tonight, and I hope you're not stuck buried in snow for too much longer! If so, I might have to send you an "I'm so bored I think I might go stir crazy or something" package so you can survive.